www.prekandksharing.blogspot.com PreKandKSharing: Start School Singing! 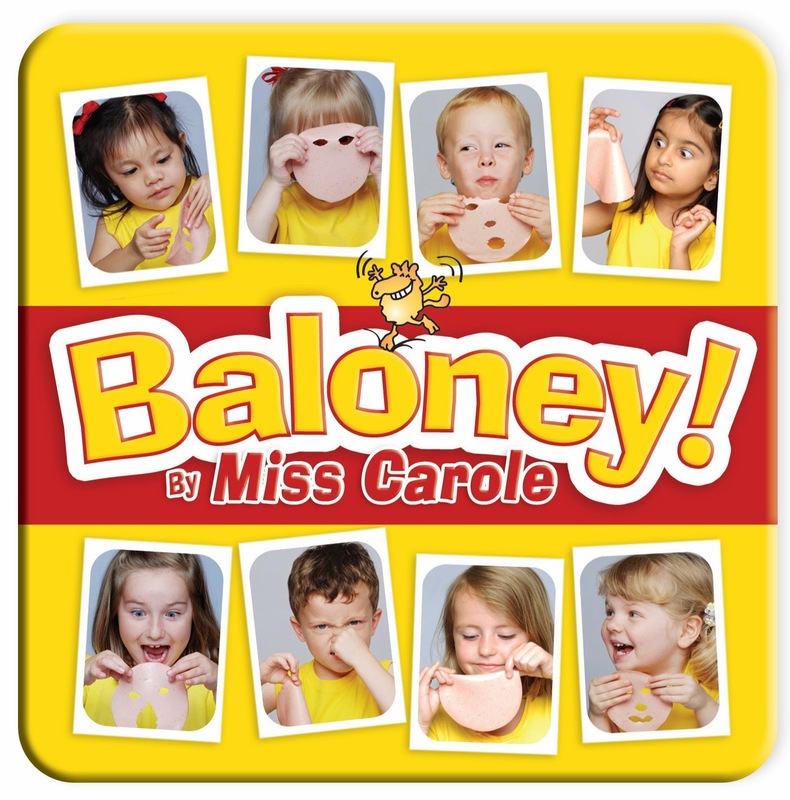 Hi from Miss Carole at Macaroni Soup! Last August I blogged about how to “Sing Your Way Through the First Week of School!” Read it – it’s a great companion for this post, with 5 great songs to start your year. It’s Week 2! Let’s keep the music moving forward to “Start School Singing!” Active Music improves fitness, stimulates neural connections and is accessible to children of all abilities. As you add a song each day, be sure to repeat the previous day’s song. By the end of the week. You’ll have a 15-20 minute Music Time – great for growing brains and bodies! Mix in some of the Week 1 songs, too! Yippee! WEEK TWO – KEEP SINGING! Yes – this is a “zipper song” – just replace the underlined words with another language and sing it again. I write the words on posterboard and tack it to my table or wall so that my students can see the words – many call out the choices by the color of the card! Ask your students if they know how to say hello in another language – and add their suggestions to the list. It’s a wonderful way for children to share their knowledge and backgrounds. A beautiful day for JUMPING! It’s a beautiful day for singing! Singing, singing, it’s a beautiful day for singing! Verses: Dancing, jumping, twirling – or add your own idea! This great song is a no-brainer – just do what the lyric tells you to do. I teach my students the sign language for “singing”, and that’s what they do during the first and final verses. Go to the ASL browser to see it demonstrated, or stretch out your left arm in front of you, move your right hand back and forth over it, as if playing a harp! 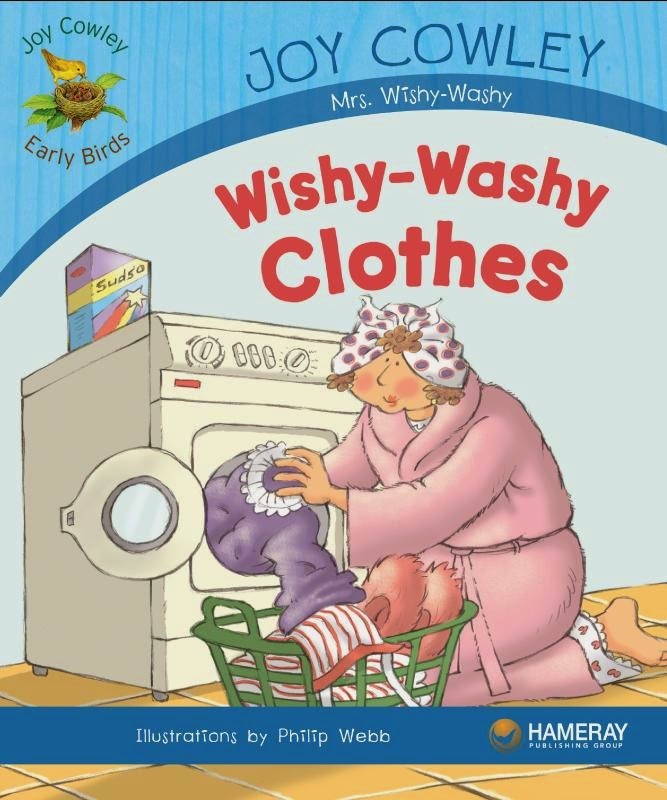 That’s how the wishy washy washerworman washes her clothes! V.2: drying her clothes, she goes whoo-eee! V.5: saying adios, she goes bye bye, ta ta, au revoir, ciao baby! On "Waaay" – put both hands overhead and shake them! V.4 Hold imaginary cookie in one hand, pretend to dunk in glass of milk! V.5 Wave hand goodbye, then blow a kiss at the end! For the whole story on this one, you really should read the SOTM page! 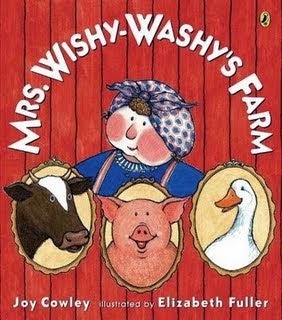 BOOK BUDDIES: Check out the Mrs. Wishy Washy books by Joy Cowley - they are an wonderful way to pair literature with music! Start with hands together in front of chest. Widen the space between them with each “blow” – until you “pop” the balloon at the end. Blow, blow, blow, blow, blow! Where did my balloon go? DAY 5: Down I Flop! Clapping, clapping, all day long! When I am tired, down... I .... FLOP! Once again, do what the song tells you to do! Flopping? Demonstrate falling to the floor while in control of your body. We don’t flop onto another child, or into walls or furniture! You’ll need open floor space for this one – great for outdoors, too! Be sure children learn to run going in the same direction with respect for others’ space. Now you’re cookin’! If you have questions, concerns or want to tell me how YOU do one of these songs, PLEASE write a comment at the end of this blog. Or you can email me – but it’s better to share with everyone! If your school or district needs an in-service to re-charge your music curriculum, call or email me! This Fall I’ll be in Illinois, Wisconsin, Iowa, Missouri, and Washington DC doing workshops and concerts. Check out my EventsCalendar! I’ll also be presenting at the NAEYC Conference in Dallas in early November. I will have time to skip out and do a local workshop just for your TX group! Let’s talk! Yours for a Back-To-School Song! MacaroniSoup! Active Music for Active Learners! AUGUST 16 - A First!